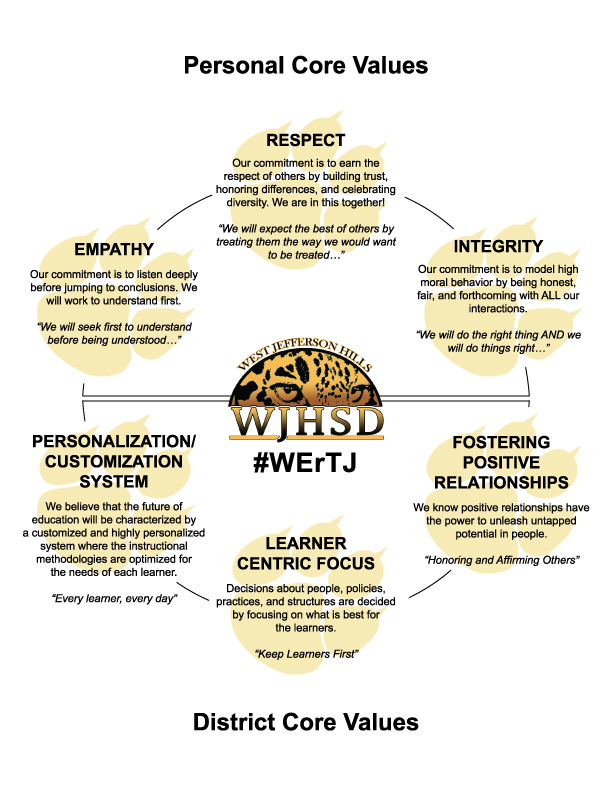 The West Jefferson Hills School District has adopted a set of Core Values that will guide everything we do in the district for years to come. They will become the standard for every student, teacher, administrator, and staff member in the district and will be used to focus our planning and decision making and position our spending to have the greatest impact on children. Our organizational core values are to be learner-centric, to deliver personalized learning for every teacher, staff member, and student, and to construct a supportive foundation for our district built upon strong relationships. Our personal values for the district are respect, empathy, and integrity.